SPAM isn’t very good, whether you’re talking about the ‘want to be meat in a can or the bogus offers and emails you receive in your inbox. As a marketer, understanding the true meaning of text marketing spam is an essential step in securing your base of loyal customers who want to hear from you. Text message marketing is the new way to communicate customers. It provides an instantaneous means of communication, with three minutes the average length of time that it takes to read what you’ve sent. Customers want to hear from you via text, and with the right offer and loyalty program in place, gaining a loyal following very quickly isn’t difficult to do. 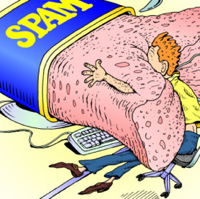 But, too much of a good thing is always possible, plus, there are a number of things that you can do wrong that consumers might perceive as spam. If a consumer perceives your messages as being spam, they’ll only unsubscribe from your list, and possibly worse. Do not buy cell phone numbers from any marketing list. SMS messaging is an opt-in program, meaning all that you send your messages to must say that they want to receive these messages. Ensure that each message that you send is valuable and provides the consumer with a good deal. Freebies are always beneficial, but there are many other enticing offers that will keep your business off of the spam list. Do not text subscribers too often. It is true that you want to stay fresh on the minds of subscribers on your list, but you also do not want to go overboard and cause annoyance in their life. Don’t send messages unless there is something important to say! What time are you sending your text messages? Do not send out a message past 9 p.m. or before 8 a.m., and staying away from these times as much as you can will also help your efforts. Avoiding spam is a must if you want your text marketing efforts to work and provide the magnitude of benefits found only with this special service.